500 Startups Unveils 2nd Batch: 21 Startups, From "Foodspotting For Fashion" To "Iron Chef In Your Living Room"
Investor Dave McClure and his wily bunch of scrappy startups are at it again this time almost doubling up on startups, going from 12 in first cohort to 21 in its latest batch and bringing the accelerator’s total to 140. 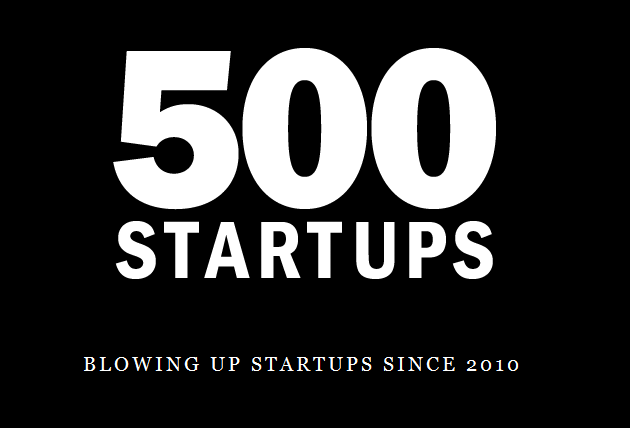 For those unaware, 500 Startups is the Mountain View- based incubator that was founded by angel investing firebrand McClure, investing between $25K to $250K in startups with a focus on the “Three Ds” design, data, and distribution. The demographics breakdown of this new “The Fast And The Furious” 500 Startups batch are as follows, 30% have international founders including Zerply (Sweden, Estonia), vvall (Hong Kong) and BugHerd (Australia). Many are from outside of the valley including LaunchRock (Philadelphia), Snapette (Boston) and HelloWorld (Austin). McClure tells me that 500 Startups, which finds entrants to its accelerator program through word of mouth, is specifically looking for startups with a simple revenue model a.k.a things that can be easily understood and make money. McClure and his former YouTuber partner Christine Tsai are also announcing their first Designers Fund and Twilio fund winners, the startups StoryTree and Culture Kitchen are the former and Volta has the honor of recieving the latter award. To help wrangle the startups presumably, Principal Christine Tsai has moved up in the 500 Startups world to Partner (“Chief Pug Herder”) and Paul Singh has also joined on as Principal. The 21 startups will more elaborately present their wares at the 500 Startups Demo Days in August, but in case you can’t wait, here’s a sneak preview below in alphabetical order. AppGrooves The Palo Alto based AppGrooves is an app recommendation app for iOS. BugHerd BugHerd aims to be the world’s simplest website bug tracker. CardinalBlue A realtime corporate collaboration tool that relies on photos and chat. Culture Kitchen Culture Kitchen (“Iron Chef in your LivingRoom”) is a platform to connect foodies with lower income ethnic women skilled in cooking the traditional recipes they grew up with. Daily Aisle Inexplicably founded by two unmarried guys, Daily Aisle is a wedding planning site. HelloWorld.im HelloWorld wants to provide simple networking profiles to developers. Kibin Get feed feedback on your writing, from essays, resumes to breakup notes. Launchbit Female founded startup offering customer development software. LaunchRock LaunchRock creates viral launching pages for startups, offering analytics as a premium. OVIA Video employment recruitment startup. Snapette A “Foodspotting for Fashion” Snapette lets you share photos of your latest Marc Jacobs bag, Louboutin heels or Prada skirt, you know, if you’re into that sort of thing. StoryTree A platform that allows you to capture stories for your family. Tout Email templates for people who send repetitive emails. Vayable A marketplace for travel experiences experiences. Vidcaster Allows you to turn any site into a video casting site. Volta A/B testing for phone marketing spiels. Vvall A photo aggregator site run by the creators of Startup Quote. Zerply A LinkedIn based on vocation, not corporation. McClure tells me that there are many advantages to hooking up with the 500 Startups brood, first and foremost its #500Strong network of advisors and founders. More than 50 percent of it previous class raised at least $250K, and 2 raised a million or more. Everybody raised something. For more McClure antics watch the below video of him likening his incubator to the Oakland As versus Sequoia’s Yankees. You can also check out the seven best startups from the last batch here.